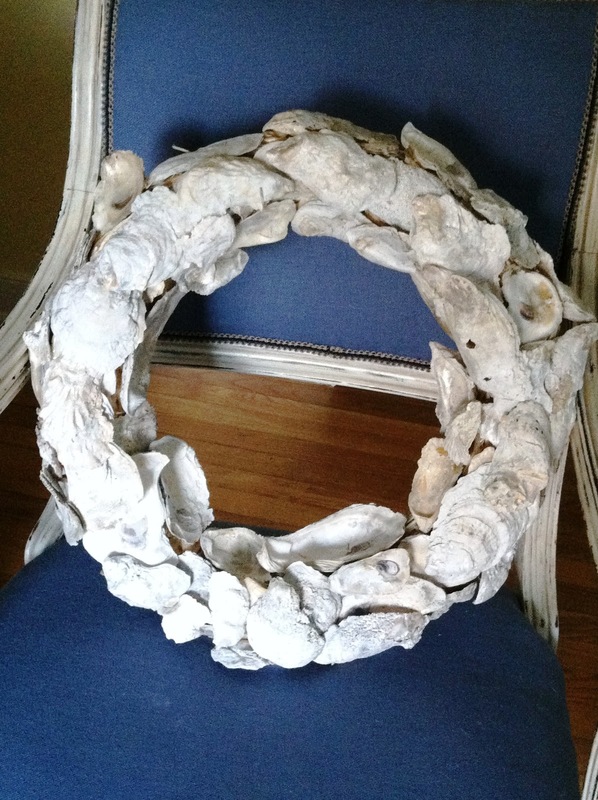 Earlier this spring I collected tons of oyster shells at my parents bay house, and have been saving them for a rainy day, waiting to decide what I wanted to do with them. 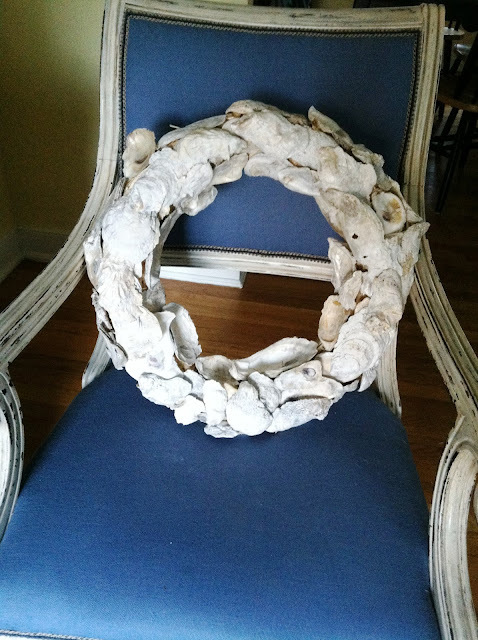 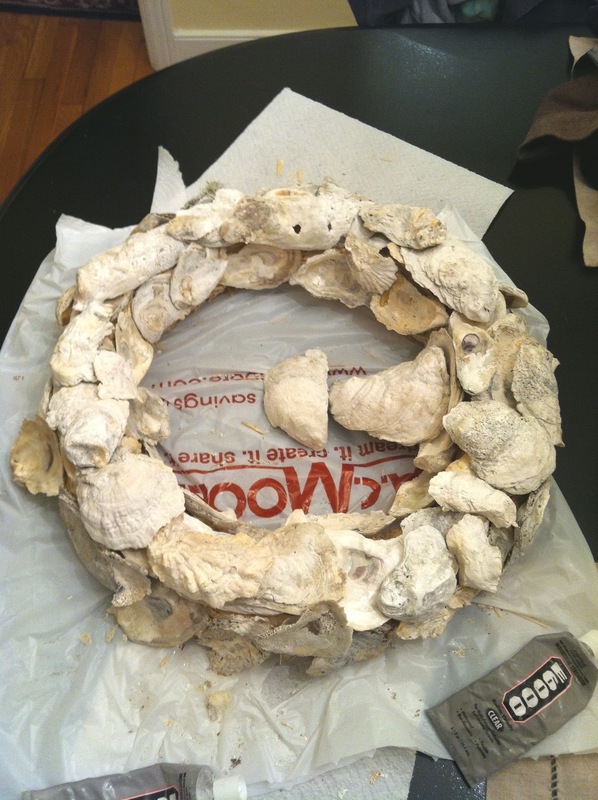 That was until I found this photo and knew I wanted to make an oyster shell wreath. 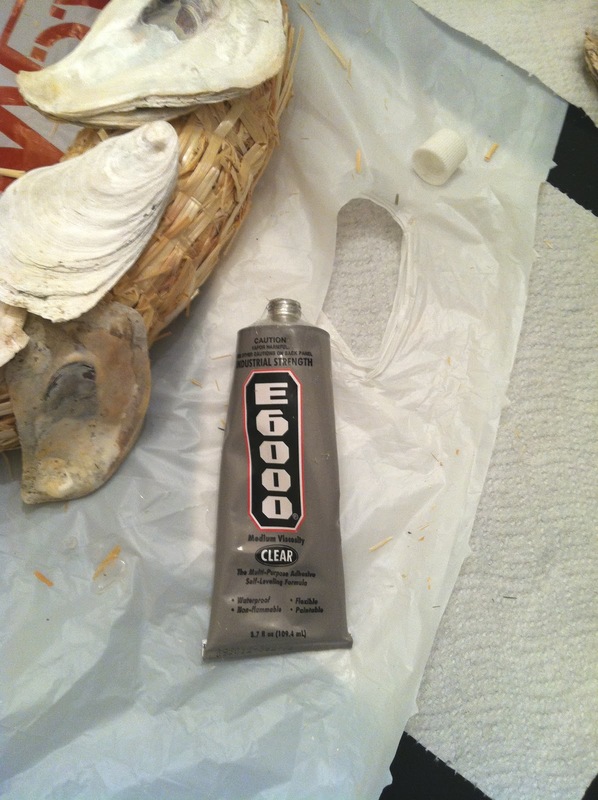 First, clean the shells really good to make sure they are free of dirt and sand. 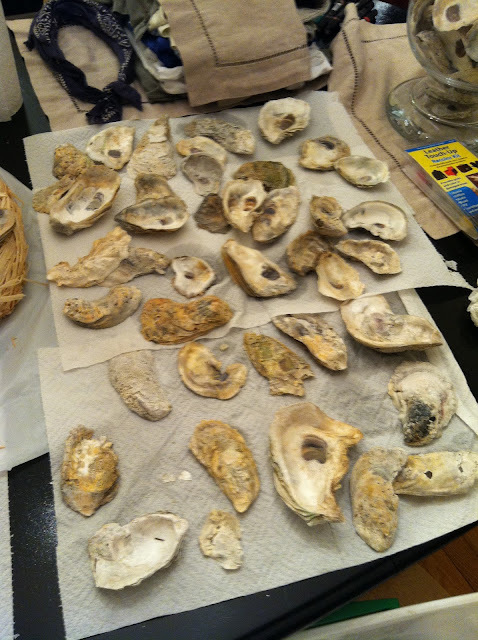 You can also soak them in water and bleach to get that pearly white look. You'll need an 18 inch straw wreath and E6000 industrial strength glue. 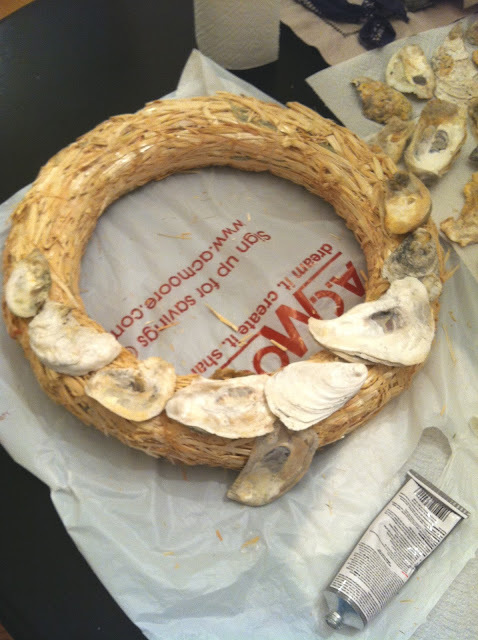 When your oyster shells are completely dry, you can start gluing them in place. 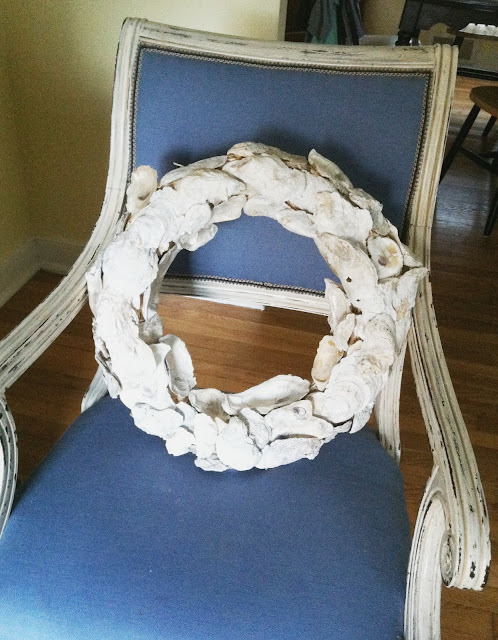 I like the "thrown on there, and the ocean spit this out" kind of look instead of a perfect pattern, but you can really take it in any direction you want. This project took $15.00, two days, two bottles of glue, and a lot of patience, but I am so happy with the final result!